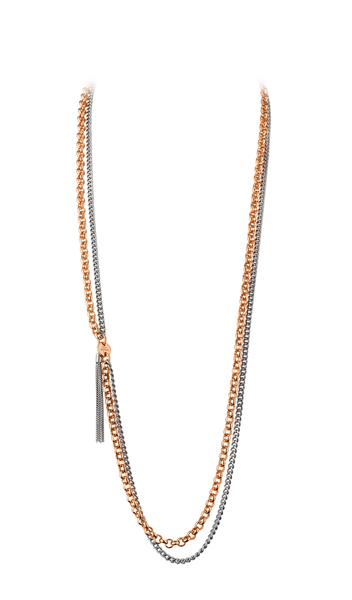 An edgy, stylish look – a double chain necklace in rose gold and silver, with chain tassel detail at the clasp. With both coloured metals, it can be worn with an array of other jewellery. Effortless cool, wear with a leather biker jacket and jeans to rock the rock chick look.